Ever wonder what dogs dream about? This one seems to involve being devoured in a tooth-by-tooth fight with a band of dingos. 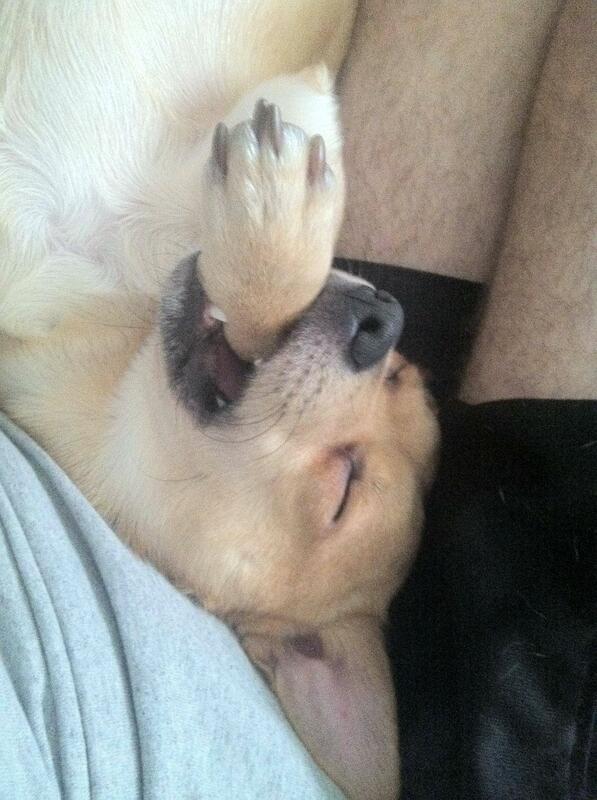 The pup will clearly have a sore paw to show for his struggles in the morning. My son’s dog would sleep beside him. My kid would dream of something and his dog would dream he was protecting my kid from that same something. I think at times it was a bicycle. He’s just looking for someone to blame. Outstanding! That is the exact video I was thinking of when I saw the picture and comment at the top of this story. You saved me the trouble of searching for it on YouTube. Thanks- it’s classic! Farts are intentional. Like when some member of the family starts blaming the Obama Administration for the price of gas in Chile. That dog is dreaming of a day at the races. His dog is in first place. Dogs seldom fart during dreams. is the dog farting or is it his human slaves? no one likes the help farting while taking a nap. That pooch was dreaming of becoming a vampire dog. I always figured they dream about “rabbits” like Lenny in, Of Mice and Men. It’s a manifestation of a dream many dogs have, biting the hand that feeds it. raff, my lab is the same way. he can run, growl, whine, twitch and scratch and never wake up. but one good fart and he’s wide awake and looking around. If only we had thumbs, We’d show stupid humans who’s Boss. Hilarious picture! Our yellow lab has big barking battles in his sleep!